SWTs Residential Iron, Hydrogen Sulfide, and Manganese Filters are built utilizing SWTs MetalEase™ filter media as the primary layer. 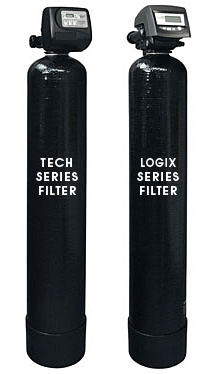 These chemical-free filters are designed to remove dissolved metals (such as iron), silt, and turbidity from water. Vigorous backwashing keeps the bed clean. Plus, these systems feature SWTs Cyclonic Distributor System™ to provide full bed contact, less channeling, and superior backwashing. • Reduces other heavy metals such as copper, zinc, lead, etc.